Summary: The Bible is going to ANSWER THREE QUESTIONS about death for us. FIRST, WHAT IS DEATH? SECOND, WHAT IS THE STATE OF THE DEAD? THIRD, WHAT SHOULD BE THE CHRISTIAN ATTITUDE TOWARD DEATH? Text: “But of the tree of the knowledge of good and evil you shall not eat, for in the day that you eat of it you shall surely die” (Gen. 2:17). The fact that there are so many DIFFERENT THEORIES about what happens to our souls when we die indicates our desire to understand the phenomenon of death. 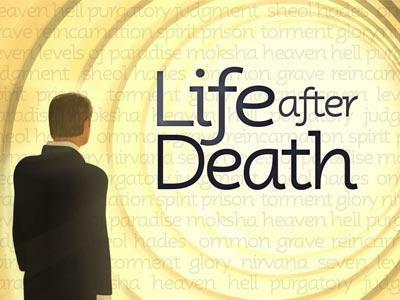 We hear and use such expressions as “THE OTHER LIFE,” “LIFE IN THE NEXT WORLD,” “LIFE AFTER DEATH,” and “LIFE ON THE OTHER SIDE.” But does the BIBLE SPEAK conclusively about this question? YES it does! And the scriptural answer provides ABIDING HOPE for Christians, particularly as we deal with the death of a loved one or prepare to face death ourselves. The Bible is going to ANSWER THREE QUESTIONS about death for us. SECOND, WHAT IS THE STATE OF THE DEAD? THIRD, WHAT SHOULD BE THE CHRISTIAN ATTITUDE TOWARD DEATH? There is a man by the name of JONATHAN EDWARDS, who has a television show called “CROSSING OVER.” He claims to be able to CONTACT THE DEAD, and he has a large following. I am sure he would have an ANSWER FOR THE FIRST TWO QUESTIONS, but they wouldn’t line up with the word of God, because ANYTHING TO DO WITH THE OCCULT IS FROM SATAN, NOT GOD. 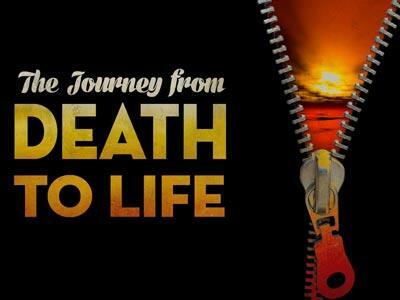 For our purposes, LET’S GO TO THE BIBLE, and see what it has to say about death. THEY DIED SPIRITUALLY, because they broke their relationship with God. The very important FELLOWSHIP they had enjoyed with God in the garden was gone, and now even though they were created to be eternal they would die, just like you and me. The principal of death became a reality for the first time; THEY BEGAN TO DIE PHYSICALLY. The ultimate DETERIORATION OF THE PHYSICAL BODY is a result of sin. Now, let’s be CLEAR about what we are talking about. IT WAS HIS FIRST SIN, not his second, third or forth sin, but his very first sin of disobedience which brought sin upon all his offspring. NOW, WE CAN CONSIDER SOMETHING VERY IMPORTANT: YOU AND I ARE SINNERS IN FOUR DIFFERENT WAYS. First, we are sinners because we COMMIT ACTS OF SIN. Second, we are SINNERS BY NATURE. SIN DOESN’T MAKE US SINNERS, but we sin because we have that nature. Third, we are sinners because we are in the STATE OF SIN. God has declared the ENTIRE HUMAN FAMILY under sin. Forth, you and I are also SINNERS BY IMPUTATION. That is, ADAM ACTED FOR THE HUMAN RACE, because he is the head of it. 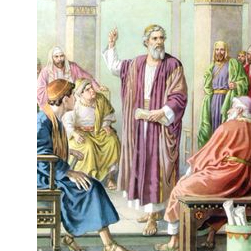 ADAM’S ONE ACT OF DISOBEDIENCE plunged the entire human race into sin. WE ARE ALL MADE SINNERS by Adams sin. Now, you may not like it, but THAT’S WHAT GOD SAYS. Therefore, EVEN IF YOU COULD LIVE A PERFECT SINLESS LIFE, which you can’t, you would still be a sinner and unfit for heaven, because of Adam’s sin. SECOND, DEATH IS THE FATE OF ALL PEOPLE. DEATH IS INESCAPABLE. We are DYING LITTLE BY LITTLE, and we will all eventually die terminally. Death is in the NATURAL SEQUENCE of events for man. For the UNSAVED MAN, after death there is nothing but judgment. Paul wrote in the book of Hebrews, “AND AS IT IS APPOINTED FOR MEN TO DIE ONCE, BUT AFTER THIS THE JUDGMENT” (Heb. 9:27). IF THE DEATH OF CHRIST DOES NOT SAVE YOU, there is nothing ahead of you but judgment. THIRD, DEATH TERMINATES EARTHLY LIFE. DEATH PROVES the mortal nature of human existence. THE BODY IN THE GRAVE can no longer hold a hammer in its hand. THE BRAIN is no longer able to study or perform any mental chores. IT IS THE BODY that will be put into the grave, not the soul. If you are a CHILD OF GOD you will go into the presence of the Lord. If you are NOT A CHILD OF GOD, you will go into the place of the dead until you are raised to be judged at the Great White Throne. THIS LIFE DOES NOT END IT ALL. IN GENESIS AND ECCLESIASTICS we are told that our bodies will return to the ground. This is the judgment upon man. IN PHILIPPIANS PAUL WRITES ABOUT HOW HE IS TORN BETWEEN his desire to be with the Lord and staying with the Philippian believers because they need him. Well, I AM LIKE THAT TOO, because I want to go on to heaven, but I want to stay here as long as I can for my families sake. THIS REMINDS ME OF A STORY of an incident that took place here in the South in a church. The PREACHER ASKED one night, “How many of you want to go to heaven?” Everyone put up his hand EXCEPT one little boy. The PREACHER ASKED HIM, “Don’t you want to go to heaven?” HE ANSWERED, “I sure do, but I thought you were getting up a load for tonight.” We all want to GO TO HEAVEN, just not right now. Students of the Bible will discover an amazing DIFFERENCE IN THE ATTITUDES of various Old and New Testament saints in regard to death. But the COMING OF CHRIST and His teachings clarified the death experience for Christians in an extraordinary way. The Bible is going to ANSWER THREE QUESTIONS about death for us. FIRST, WHAT IS DEATH? SECOND, WHAT IS THE STATE OF THE DEAD? 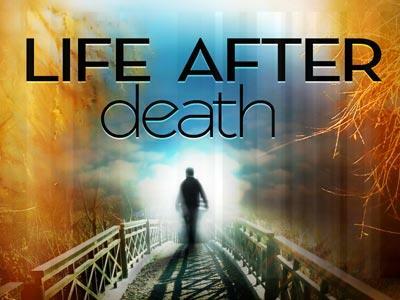 THIRD, WHAT SHOULD BE THE CHRISTIAN ATTITUDE TOWARD DEATH?